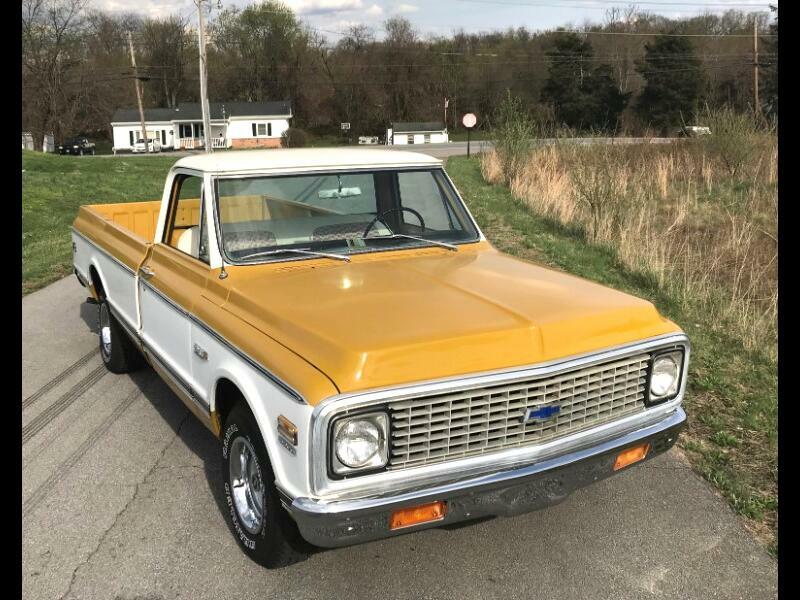 Very rare 1971 Chevrolet Cheyenne Super long bed pick up with original 400 cu in (actually 402) big block engine with 4 BBL carb, dual exhaust, Automatic transmission, (turbo 400), power steering, power disc brakes, factory air conditioning, tilt steering wheel, two tone paint, all available exterior dcor trim, tinted glass, deluxe houndstooth interior, AM-FM radio, and gauge package. This is a solid totally un-molested truck, that is as original as you will find. The very popular Ochra and white color combination, both inside and out, with the special Cheyenne Super woodgraining on dash and glovebox. Very good running truck with much new brakework done, new carpet and dash pad. Very hard to find one this original. Message: Thought you might be interested in this 1971 Chevrolet Cheyenne.